C3 Advance is built with a lightweight, rigid frame for maximum endurance and reliability. To comply with medical clean water guidelines, the unit operates a single use water system and the direct water feed / drain option saves time and money, without operator intervention. 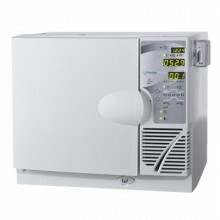 Click the button below to add the Prestige C3 Autoclave (Vacuum) to your wish list.